I will be honest, only three years ago I had never even heard of a "First Look"! And now they are happening at most of the weddings I photograph! Whether or not to do a First Look is your choice, your personal preference. Some more traditional Brides prefer that first look to be when they walk down the aisle - all eyes on them, and her eyes only on her Groom. Other couples prefer to take a moment before the ceremony to see one another, in private, without the guests watching. Whatever your preference, I love photographing that moment but I just wanted to share some examples and reason why I really love shooting First Looks! Reason #1 - Intimacy. Couples get a chance to see one another for the first time without the guests, friends and family watching. For some Brides this is ideal as they often spend that moment walking down the aisle worrying about tripping, looking at the guests, checking out the decor to make sure its correct, and so much more! They forget to enjoy the moment. Then, when you get to the altar, the ceremony begins and you and your spouse do not get a chance to communicate. My one rule (yes I have a First Look "rule"), is that no guest may be around when we do First Looks. No one. This is YOUR moment, your time, enjoy it! You don't want the moment ruined by Aunt Matilda and her ipad camera in your face! Then after I snap a few shots I will disappear for 5-10 minutes for you to talk and whisper sweet nothings to one another...your time. Reason #2 - Time! As a photographer, the First Look makes my day! Why? Well, after the couple finish their moment we will go out and do all the formal shots of the couple, then gather the wedding party for some fun wedding party images, and then usually finish all the posed family shots - ALL BEFORE THE CEREMONY!! Why is this so amazing? Well, you can enjoy your ceremony and then move right into your party without having your guest wait around for hours while you take photos! Its a win-win for me, the couple, and the guests! However...I do usually like to take the newly married couple aside for a few more shots together because now they will have that freshly married glow! Now what about that moment you walk down the aisle? Does having a First Look take away from that moment? I say NO! Its almost like you get two special moments now! Walking down the aisle still feels special because now you are seeing one another for the first time in front of your friends and family, many of which do not even know you already saw one another! And you know that this is the real thing - the moment you have been waiting for your whole life, knowing that once you get down that aisle in a few short minutes you will be married to your true love!! It has a whole different feeling than the first look before the ceremony because now its really happening! To inquire about wedding packages for 2019, please click here! Kate and Jordan eloped (sort of) at Thingvellir National Park in Iceland, at the cutest little green and white church. I am blessed to have tagged along with them, and enjoy this experience and the beauty of Iceland for myself. Jenna and Rory. They have a wonderful love story of two families who spent summers on the same lake. And since Jenna is a writer I'm going to let her tell you in her own words because they will sound much better than if I wrote them. Jenna and Rory got married on a mild fall day at a quaint restaurant called the Black Forest Inn, that they said "felt like the cottage", so it was the perfect place for these two cottagers to get married. 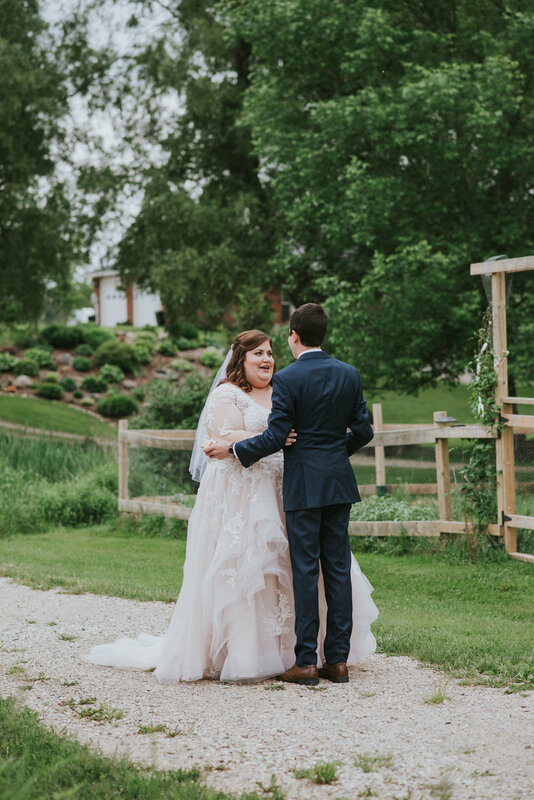 Elise and Brandon's autumn wedding day turned out to be a cold, rainy and WINDY day, inside the barn at Cambium Farm, and that did not stop anyone from having a blast! They may have been bundled up in blankets, but the guests stayed til the end to show love and party with the Bride and Groom! Take a peek at the video and you will see how windy it was! Lauren and Graeme got married in front of loved ones at Glencairn Golf Course in Milton Ontario on a chilly fall day. Click to see their ceremony and wedding reception, as well as the cutest first look! Maggie and Ben get married at River Run Centre in Guelph Ontario, where they first met while attending University. The venue is awesome with floor to ceiling windows and great acoustics (it is a theatre after all!) The wedding decor was based around thier love for literature. Autumn Inspired Bridal Shoot at Scotsdale Farm. Lots of inspiration for a fall wedding! This wedding had it all - yet was so simple and intimate and perfect. The Alton Mill Art Centre in Caledon was the setting for this intimate and trendy wedding! What is your favourite part of a wedding? Personally I love that moment when the couple realizes they just tied the knot! Julia and Luigi were married at St. Andrew's Roman Catholic Church - the cutest church in Oakville with the kindest Priest I ever did meet. And since the church is right near the waterfront, we headed there for some wedding party photos before driving to Edwards Gardens in Toronto for more portraits of the newly married couple and their sibs.